We know a thing or two about top-notch shopping options in California. From Costa Mesa plazas to gallerias in Glendale, you’ll find just about anything you could dream about. If you’re a shopaholic, you’ll be sent straight to heaven when you visit the 10 best malls and outlets in the state! Orange County’s gigantic South Coast Plaza is a shopper’s paradise. 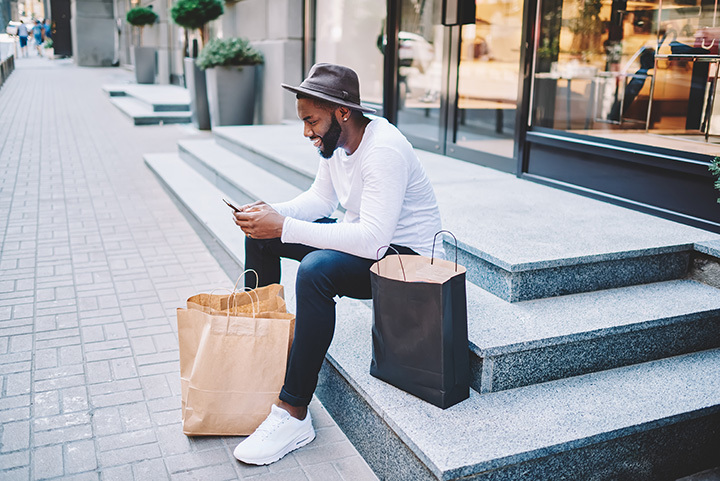 Offering luxury boutiques and gourmet restaurants, you can also see some familiar discount stores and affordable places to score items on sale. Remember where you parked or you could get lost in the maze of shops. Camarillo Premium Outlets are a shopping oasis in an area that is filled with fields and little else. The outlets have continued to grow and expand so be prepared for a lot of walking or do what the locals do and move your car from one part of the huge outdoor shopping outlet to another. Things get pretty hot in the desert, including the sales at the Desert Hills Premium Outlets. Located near casinos and not far from the dinosaurs that line the freeway, Desert Hills Premium Outlets is frequently packed, even when the temperatures reach the triple digits. Located next to the new luxe Americana at Brand, the Glendale Galleria is still worth checking out for an old-school mall experience. The place has been renovated and includes all your favorite mall finds from department stores to accessories and shoes. Plus, it connects to the Americana at Brand, for a chance to score some of the best eats in the city. Santa Monica Place is located next to the famous Third Street Promenade, not far from Santa Monica’s beaches and pier so don’t be surprised to see bathing suits wandering through the mall. The mall frequently hosts special events and great deals, so check out the website ahead of time for the best scores. Built like a citadel, the Citadel Outlets are a bastion of shopping delights in the otherwise warehouse-filled City of Commerce. You’ll find many of your favorite stores and few surprises at the somewhat eccentric setting for an outlet mall. This lively shopping mall is not only full of some of chic and trendy stores, but the ambiance is quite spectacular as well. Between the palm trees and the overall airy environment, you won't mind spending your time walking around basking in the San Diego sun here. Fashion Valley has its fair share of critically acclaimed restaurants as well so stop by and stay for lunch or dinner. Fashion Island offers an upscale look at California’s shopping experience. Window shop through scores of famous international high-end brands ranging from Hermes to Gucci in the warm open air mall filled with palm trees. Stop in for a bite or a beverage at a restaurant or go ahead and splurge on a special treat. The Topanga Mall has long been a hangout for San Fernando locals, but since renovating in recent years and adding the outdoor space known as The Village, complete with a Costco and Target, it has become a definite destination for all shoppers. Check out gourmet eats with a new plethora of restaurants as well as your favorite stores, boutiques and department stores. Nestled along State Street, Santa Barbara’s main drag, the Paseo Nuevo has multiple access points as well as a movie theater and unique shops that make it seem like less of a mall than many other shopping centers. Although you’ll find the usual suspects, you’ll also find some specialty goods and California architecture at this favorite hangout for both locals and tourists.